Reproduced by permission of Corbis Corporation. For the first part of his career, Milton Hershey struggled to succeed in the candy business. Despite his early failures, he never gave up. Hershey's fame finally came as the first American manufacturer of milk chocolate. Using the most modern methods of production available, Hershey developed, as his slogan once said, "the Great American Chocolate Bar." "We were starting out to do something new, something that had never been done before.… We had to learn by doing things, and when we did them right, we did more of it that way. And what we did wrong, well, you had to remember that, too, so you wouldn't keep making the same mistakes over and over." Money was not plentiful for young Milton Snavely Hershey and his family. He was born on September 13, 1857, in Derry Church (sometimes called Derry Township), Pennsylvania. His parents Henry and Fanny were Mennonites, a small group of Protestants who lived simply and opposed violence in any form. Mennonites from Germany and Switzerland had started settling in central Pennsylvania in the 1680s. Most were farmers. Henry Hershey, however, was drawn to business, and he started more than a dozen ventures, including drilling for oil. These businesses, however, always failed, leaving the Hersheys scrambling for income. Henry Hershey's different projects kept his family moving from town to town, disrupting his son's education. He never went beyond fourth grade. When the young Hershey was fourteen, his mother arranged for him to become an apprentice to a printer. As an apprentice, Hershey's job was to help his "master" and learn the trade. After just three months, Hershey was fired. In 1872, Hershey tried a second apprenticeship with a confectioner based in nearby Lancaster. This job went better, and in 1876 Hershey had enough skills to enter the candy business on his own. Borrowing money from relatives, he moved to Philadelphia and started making taffy and caramel, selling the candy from a pushcart. The business lasted six years, but a partnership with his father ate away Hershey's profits. Hershey left Philadelphia in 1882 after suffering a mental breakdown that kept him in bed for weeks. After his recovery, Hershey followed his father west, to Colorado. He took a job at a confectioner's making caramel. On the job, Hershey learned how to improve the candy's taste by adding fresh milk. From Denver, Hershey moved to Chicago and New Orleans, Louisiana, before settling in New York City. He worked for a confectioner and made his own caramels on the side, using the recipe he discovered in Colorado. He eventually started his own candy company. The company failed, as Hershey tried to grow too quickly. Milton Hershey was generous with his wealth, but some people still saw him as cheap or a harsh employer. He sometimes snuck up on workers, trying to catch them sneaking a break on the job. He also refused to spend money on advertising. One story says that when he saw Hershey chocolate-bar wrappers thrown on the ground as garbage, he turned them over so the name showed—a form of free advertising. Returning to Lancaster, Pennsylvania, Hershey once again borrowed money, this time from Harry Lebkicher, who had worked for him in Pennsylvania. Later, his mother and her family helped as well, and in 1886 Hershey formed the Lancaster Caramel Company. The company grew quickly, and Hershey was soon rich. In his biography of Hershey, One of a Kind, Charles Schuyler Castner writes that Hershey told one business associate, "One day I looked at the books, and there … was over a hundred thousand dollars in the bank, and I didn't owe any of it." Lifelong Member of the Hershey "Family"
After his mother died in 1935, thirteen-year-old William Dearden of Philadelphia was sent to the Hershey Industrial School. Dearden learned that in many ways, the boys at the Hershey school lived better than millions of American children of the era. They received three meals every day and wore new clothes. Outside of class, the boys took trips to concerts, theatres, and the movies. In return, they helped run the school, working on its farm and cleaning the buildings. Looking in on them throughout their stay was Milton Hershey. Only a few graduates of the Hershey Industrial School stayed to work at the Hershey Chocolate Company, just one—William Dearden—worked his way up and eventually ran the company. After graduating high school, Dearden spent one year at a junior college funded by the Hershey Trust, then went to Albright College, in Reading, Pennsylvania. During World War II (1939-45), he spent one year at the Harvard Business School before joining the U.S. Navy as a supply officer. After the war, he worked in New jersey, returned to military service during the Korean War (1950-53), then came back to Hershey to work at the school where he had spent his teenage years. Dearden began working at the chocolate company in 1957, serving as an assistant to the chairman, John J. Gallagher. In 1965, he took the newly created position of director of sales and marketing. Dearden led Hershey's first efforts to actively promote the company's products. In 1976, he was named chief executive officer (CEO) of the company. Despite his success, Dearden never forgot his roots or lost touch with workers and employees. When Dearden stepped down as CEO of Hershey in 1985, the company had regained some of the ground it had lost to Mars, Inc., during the 1970s. To Dearden, strengthening the company was his way of repaying Milton Hershey. In an oral history about his life, Dearden said, "I felt I owed Mr. Hershey for what he did for me as a boy." As the Lancaster Caramel Company grew, Hershey turned his attention to other foods. In 1892, he visited Switzerland, hoping to learn how to make cheese. On the trip, he discovered milk chocolate. The next year, Hershey bought equipment to make chocolate and began selling it along with his caramels. Perfecting his own milk chocolate, however, took several more years. By 1900, Hershey was happily married to Catherine Sweeney. He and his wife enjoyed his riches from caramel, often traveling abroad. But Hershey was ready to try something new, and he sold his caramel business to devote himself to chocolate. Hershey did not necessarily want to increase his wealth. Instead, he planned to build his own town, where workers at his factory could make enough money to enjoy a good life. The idea struck his friends and family as odd. His wife, according to Joel Glenn Brenner in The Emperors of Chocolate, said her husband "ought to go have his head examined." Hershey, however, was determined to build his own "Chocolate Town," on land he bought in his birthplace of Derry Church. He opened his chocolate factory in 1905. Work had already begun on the town, with Hershey planning neighborhoods and naming the main streets: Chocolate Avenue and Cocoa Avenue. Workers moved into the homes he built for them, and Hershey served as the town's fire chief, police officer, and mayor. In the factory, Hershey and his employees perfected their version of milk chocolate, then began selling it across the United States. Hershey's modern plant sped up the production of milk chocolate, which had previously been made by hand. Hershey put a long-time employee, William Murrie, in charge of the business, and he and his wife continued their travels. They also used their wealth to start the Hershey Industrial School for orphans. In a 1923 interview with the New York Times, Hershey explained why he founded the school: "I have no heirs; so I decided to make the orphan boys of the United States my heirs." In his later food experiments, Milton Hershey made sherbet out of such vegetables as beets and onions. He also invented an ice cream that did not contain milk. Made mostly from rice flour, peanut oil, and sugar, this non-dairy ice cream was half the price of regular ice cream and came in chocolate, vanilla, and strawberry. Hershey showed his commitment to "his" boys (girls were admitted later) in 1918. Three years after the death of his wife, Hershey gave almost his entire fortune to the trust that ran the school. Hershey, however, still worked closely with Murrie and others on how the company was run. During the Great Depression of the 1930s, Hershey hired hundreds of out-of-work Pennsylvania residents to construct new buildings in his town. In 1937, on the night he celebrated his eightieth birthday, Hershey suffered a stroke. By some reports, he had only a few days to live, but Hershey recovered and kept busy looking for new crops to plant in Hershey and new candies to make and market. He kept an office in the Hershey plant and lived in two rooms at his former mansion, which he donated to the Hershey Country Club. Hershey also continued to travel, although he stayed close to Pennsylvania instead of traveling the world as he once did. Hershey remained active until his death in 1945. The company and town he founded continued to grow, the product of a man driven to give the world pleasure through chocolate. Brenner, Joel Glenn. The Emperors of Chocolate. New York: Random House, 1999. Castner, Charles Schuyler. 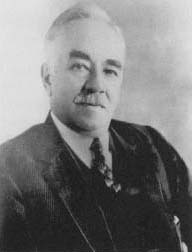 One of a Kind: Milton Snavely Hershey, 1857-1945. Hershey, PA: The Derry Literary Guild, 1983. Altman, Henry. "Hershey's 'New' Ingredient." Nation's Business (June 1983): p. 42. "Hershey Foods to Close Some Plants and Cut Jobs." The New York Times (October 25, 2001): p. C4. Novak, Janet. "The High-profit Candy Habit." Forbes (June 29, 1987): p. 76. Wawro, Thaddeus. "The Candy Man." Entrepreneur (March 2000): p. 114. Hershey Entertainment & Resorts Company. [On-line] http://www.hersheypa.com (accessed on August 15, 2002). Hershey Foods Corporation. [On-line] http://www.hersheys.com (accessed on August 15, 2002). Hershey Trust Company. [On-line] http://www.hersheytrust.org (accessed on August 15, 2002).